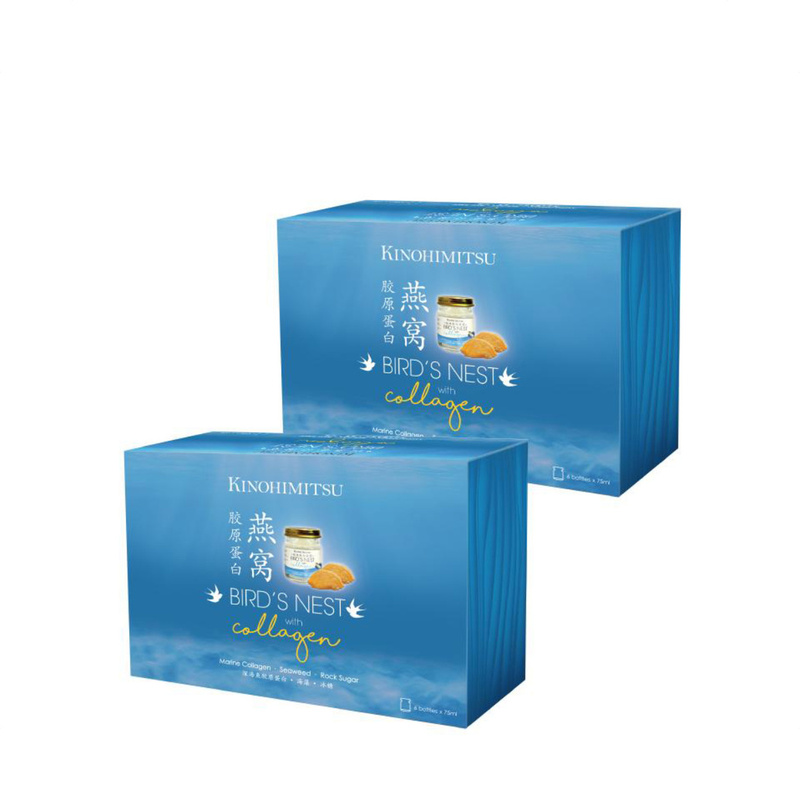 Kinohimitsu Bird’s Nest with Collagen combines the goodness of 100% genuine deluxe quality Bird’s Nest, Marine Collagen and Seaweed, carefully prepared to retain their nutrients, allowing you to enjoy the optimal benefits in one bottle. Healthy Ageing - Relieve fatigue and support respiratory health. Beauty - Promote youthful, radiant and smooth complexion. Strengthen Immunity - With the high glycoprotein content and growth factors, it helps to boost immune system & increase resistance to external environmental stress. - Taken chilled or warmed. - uitable for all ages.